UNRCPD is committed to assisting Asia-Pacific states requesting support in delivering Peace and Disarmament education. The United Nations Study on Disarmament and Non-Proliferation Education (A/57/124) was submitted to the First Committee of the General Assembly at its 57th session on 9 October 2002. 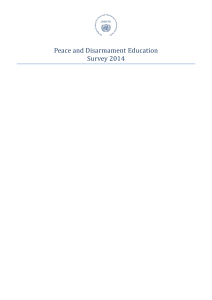 The Study builds upon and seeks to revitalize past disarmament education efforts, which it considered an integral part of peace education. Its main contribution was the 34 recommendations for action to be undertaken by Member States, UNODA and its regional centres and others. In July 2017, these 34 recommendations were reaffirmed in the Report of the Secretary-General on the Work of the Advisory Board on Disarmament Matters (A/72/185). 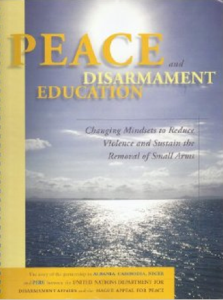 It calls for a reinvigoration of disarmament education activities. 3) Develop disarmament and non-proliferation training modules hosted on the online dashboard of the Office for Disarmament Affairs (Vienna Office) targeting young diplomats and other youth leaders for knowledge enhancement and capacity-building. In support of and in line with the above mandates and frameworks, the United Nations Regional Centre for Peace and Disarmament in Asia and the Pacific (UNRCPD) is conducting a Baseline Assessment of peace and disarmament education (PDE) needs in select States in Asia-Pacific. The Baseline Assessment is the first phase of developing a more comprehensive PDE programme with the results guiding specific activities. The project aims to realize Sustainable Development Goals (SDG) 4.7 on quality education promoting a culture of peace and non-violence. SDG 5.5, ensuring women’s full and effective participation and equal opportunities for leadership at all levels of decision making in political, economic and public life. 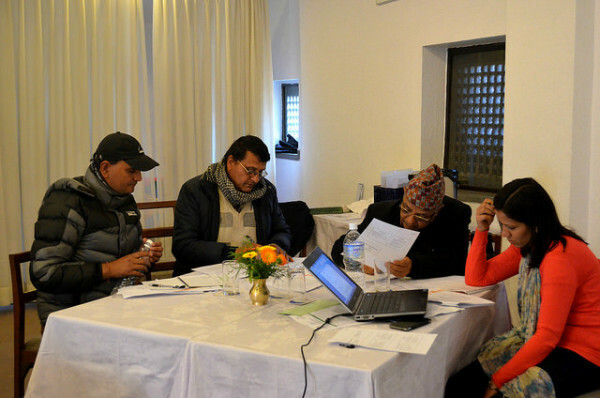 Furthermore, outcomes of the project will contribute to Target 16.7 on ensuring responsive, inclusive, participatory and representative decision-making at all levels. The project lays the foundation for future activities coming out of the assessment to directly support Member States in addressing SDG Target 16.1 on significantly reducing all forms of violence and related death rates everywhere and Target 16.4 reducing illicit arms flows. To mark the International Day of Peace 2018, UNRCPD presents a video which highlights the important role youth have in arms control, disarmament and peace education. We celebrate the Right to Peace. Discussion between UNRCPD’s Peace and Disarmament Education Consultant and grade 8 students during the base-line survey research in phase I. 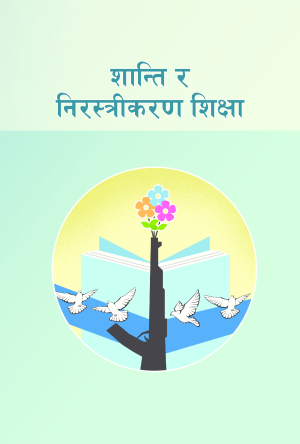 Since 2013, UNRCPD has been supporting the Government of Nepal in its efforts to deliver peace education under the national curriculum. By operating within existing structures to infuse high quality technical expertise into teaching materials and pedagogy, UNRCPD aims to promote non-violent values and behavior (e.g. tolerance and celebrating diversity). In 2013, Phase I of the Programme was launched. Over the course of 12 months, PDE content for grade 8 curricula and textbooks have been developed, a baseline study on PDE and student’s behavior regarding conflict resolution has been conducted, and efforts to raise awareness on the importance of Peace and Disarmament Education amongst key Government officials have successfully been carried out. The products of this first phase of the project –curricular contents and textbooks- will reach an estimated 300,000 grade 8 children per year. From December 2014 – July 2015, phase II of the Peace and Disarmament Programme project was implemented. Based on the achievements of phase I, the scope of the project was extended. 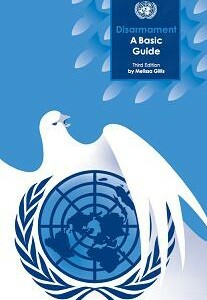 In addition to grades 9 and 10 textbooks and curricula, a Peace and Disarmament Education optional course for grades 6-8, teacher’s guides for grade 8, as well as a Peace and Disarmament Education teacher training gap analysis were developed. The curricula, textbooks and the teacher’s guides developed during phases I and II of the Programme, will reach more than 700,000 Nepali children per year. 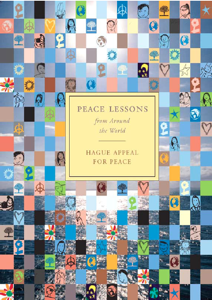 Specifically targeting the age group of 13-17 year olds provides students with the skills needed to transform conflicts using non-violent approaches during a key developmental period in their lives. 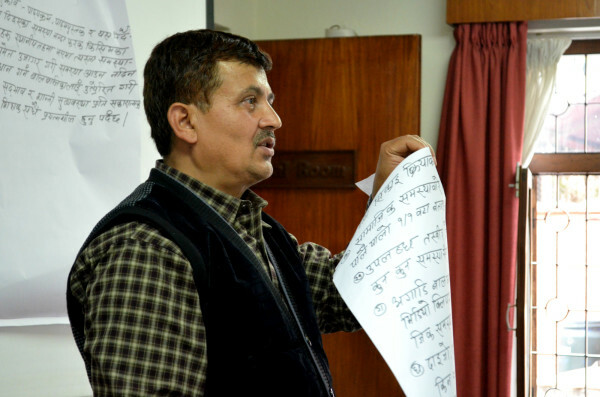 By addressing the roots of interpersonal violence and reducing the demand for arms, the project helps strengthen the fragile peace that Nepal has worked tirelessly to achieve. 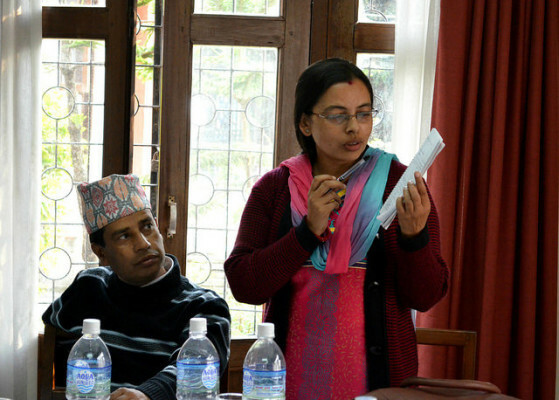 Using the Nepal model, UNRCPD is seeking to bring Peace and Disarmament Education to other post-conflict countries in Asia-Pacific. This low cost, high impact model is a sustainable way to give governments the technical expertise they need to deliver conflict resolution and peace education. As a Regional Centre, UNRCPD is committed to adapting its approach to meet the specific needs of requesting states. For further details, please contact info@unrcpd.org. In line with UNRCPD’s mandate and General Assembly resolutions recommending implementation of disarmament and non-proliferation education (e.g. A/69/65, A/69/113), UNRCPD’s Peace and Disarmament Education activities seek to shape the values, skills and behavior of students towards non-violent responses to conflict at the individual, national and global levels. To see the range of materials available in the UNODA collection, please visit UNODA’s Disarmament Education Resources for Learning and UNODA Education – Reports of the Secretary General. Education plays a vital role to develop a culture of peace. In 2011, UNRCPD piloted a model for the promotion of non-violent conflict resolution with young people. The project developed training modules on peace education, implemented training of trainers for youth volunteers and facilitated workshops at public schools in pilot districts. These activities established a network of youth empowered to act as mediators and ambassadors for peace in their colleges and communities. Learn more about this project here, view pictures here. Schoolchildren show off their work as part of UNRCPD’s 2014 Art for Peace Competition. Drawing is a creative outlet for children to express their views on what peace means to them, their families and their communities. Between 2012 and 2014 UNRCPD’s Art for Peace competition reached over 1,000 students, helping them reflect on the importance of peace and how it might be achieved in their lives. Learn more about the competitions in 2012, 2013, 2014.